Want to build your Startup success on faster, auto scalable and cost effective cloud platform? You have come to the right place. 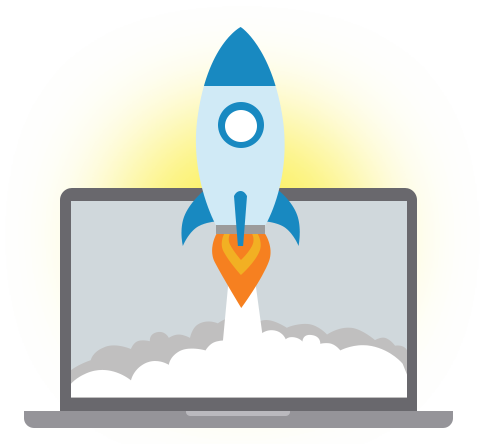 Supportive training, free credits, easy migration and DevOps automation tools - all this is available within MilesWeb Cloud Startup Program for companies to setup their business online quickly without worrying about cost and IT infrastructure management. Focusing on core business and saving on IT infrastructure is the main thing that Startup should be able to achieve. MilesWeb cloud platform can help in achieving both the goals of a Startup with saving real money. If you are an early stage Startup, we are currently offering Rs 5,000 as credit for your cloud usage and this will be applicable for the period of 6 months. We do our best to get your startup up and running quickly on MilesWeb’s Jelastic PaaS platform. Contact our experienced technical support team 24/7 through live chat, phone or email and learn how to make the Jelastic PaaS work for you. Get instant access to our knowledge base, blog and video tutorials. MilesWeb cloud powered by Jelastic offer a self-service portal with user-friendly UI. Developers dashboard includes intuitive application topology wizard, deployment manager, access to log and config files, marketplace with prepackaged applications and functionality for team collaboration. CLI and SSH Gateway are available for access to the containers. MilesWeb Cloud provides the PaaS and IaaS solution which scale any application automatically, both vertically and horizontally, that makes the hosting of your projects truly flexible. Review the video to get more detailed information on the auto scaling feature. Most cloud providers charge you for the VM limits, and if your application does not require that resources, you still have to pay for them. What a waste! With MilesWeb Cloud, you only pay for what you use without overpaying for unused resources. We will help you to move your application/data from current hosting provider to MilesWeb Cloud without any data loss. No additional charges - our team will do it smoothly and for free. MilesWeb empowers Startups with high uptime ensured by the state-of-art data center infrastructure in Mumbai (the financial capital of India), delivering top speed along with providing industry-leading SLA.